This changes everything scientists thought they knew about early civilization in North America. A new settlement has been discovered by researchers from the Hakai Institute, University of Victoria and local First Nations members, and it changes everything scientists thought they knew about early civilization in North America. The 14,000-year-old village contains artifacts that date all the way back to the Ice Age and is believed to be one of the oldest human settlements ever uncovered in North America. It’s even suspected to be older than the Giza pyramids! Artifacts from the village were discovered on Triquet Island, approximately 310 miles northwest of Victoria, Canada. Fish hooks, spears, and tools to ignite fire were found. 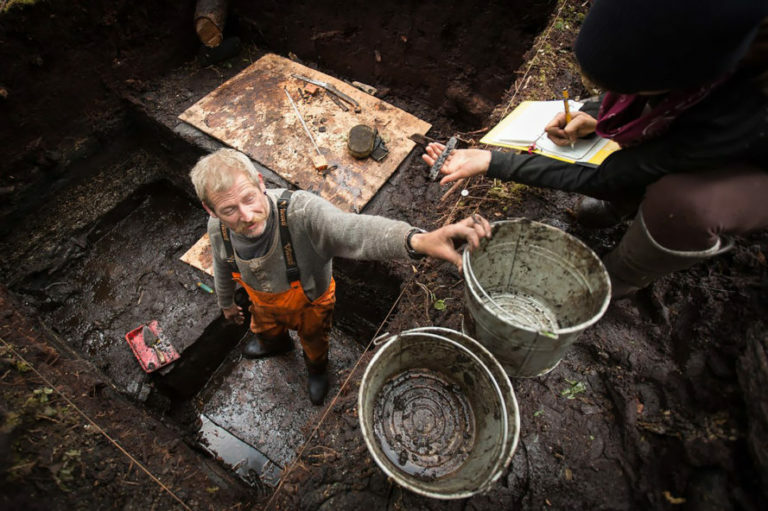 The ancient village may have been discovered last year, but only now are researchers asserting that a massive human migration occurred along British Columbia’s coastline, relays The Independent. Archeologists once believed humans arrived in North America via a land bridge between Russia and Alaska, continuing to migrate on foot. Now, however, archaeologists suspect people moved down the coast, possibly in boats. In the event both occurred, it is likely the coastal route came before the inland route.